After the FIFA World Cup ended, the big question was what’s next for the US Women’s Soccer star, Abby Wambach? Everyone in the sports world was wondering what she was going to do: play in the 2016 Summer Olympics, or end her career before. Abby Wambach is one of the best women’s soccer players to ever play the game. She has won one FIFA World Cup and two Olympic gold medals. She was also the FIFA World Player of the year in 2012 and has won the US Soccer Athlete of the year award six times. Abby Wambach has been on the US women’s soccer team since 2001. She is currently the highest all time goal scorer for the team and holds the world record of international goals for women’s and men’s soccer with 184 goals. 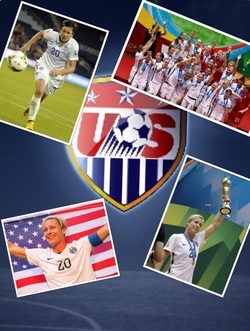 Wambach is a very important and well-known soccer player that will be remembered forever. A question that has gone unanswered since the World Cup ended is will Abby Wambach continue her career of soccer and play in the 2016 Summer Olympics, or end her career in 2015? On October 27, 2015, Abby Wambach announced her answer: she will be retiring. Abby Wambach will play her last official game on December 16 with the US Women’s soccer team as part of their Victory Tour. She will be missed! Abby Wambach was a very good role-model for young athletes all over the world. She is someone that many people have looked up to and she will never be forgotten. Hopefully her retirement will lead to bigger and better things!